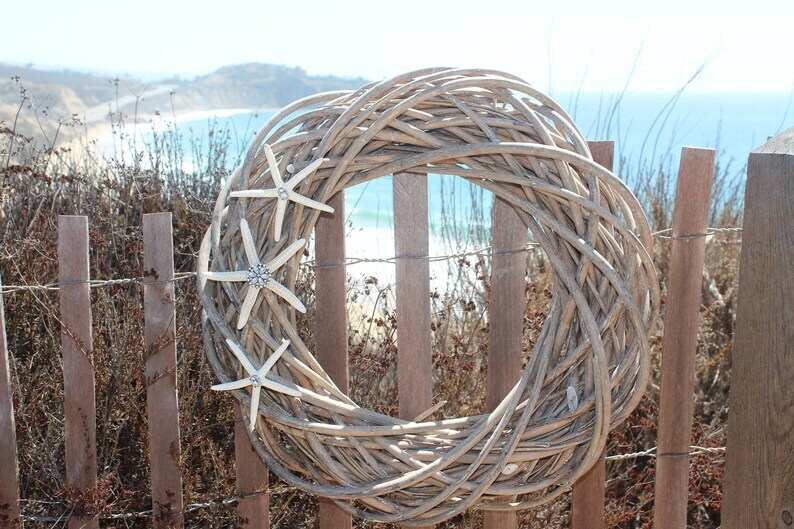 Beach Decor - Drift Wood Starfish wreath with embellished detail. This beautiful wreath is perfect for all year at the beach or not at the beach... beautifully embellished finger starfish seashells and a touch of bling to up the glam look. Each wreath will be unique due to the organic and difference of the materials. Approximately 20" diameter x 2.5" deep. Shells are affixed to a flat, painted form. If you would like a custom color please contact me for details.